Christmas has arrived in our house. At this moment, I am curled up in PJs with only the light of the tree keeping me company. It is my favourite place to be. All is silent (apart from the dogs snoring) and there is only an hour before everyone wakes up. I should be concentrating on writing. I have a short story/flash fiction to finish by Friday for writing group. It has been a couple of weeks since I have been and during November, NaNoWriMo took priority so I am determined to have something to share. The title is The Journey. A plot and a character with his back story have been formed and over 500 words have been written but I am struggling to concentrate. The words and snapshots of images refuse to link together to finish the tale. Christmas keeps getting in the way – lists galore loop in my head. One for card and present recipients, shopping needed for Christmas dinner and the following days, things to do before visitors arrive as well as the calendar full of events. As much as I am determined to carve a couple of hours for my writing I am drowning with ‘should be doings’. How do other writer’s do it? I watch and read authors interviews where they state they go into their study/kitchen or favourite café and write. How do they switch their minds off to remain focussed on the task at hand? Rather than meal plans, daughter’s homework or other demands. If anyone knows their secret, please let me know. I am on a deadline to increase my word count for my first draft dramatically and prepare book review posts for Duvet Dwellers Books for the next few weeks. Once family arrive for Christmas, I do not know when I will be able to indulge in writing. The pressures of the summer will resurface. Writing has become a need but I can not shake the feeling of guilt and selfishness when I give it the time it needs. Having visitors that do not understand my desire to write makes these feelings worse. Next week I have a whole day free with no other people around. It is the best Christmas present my family could give me and I can’t wait. 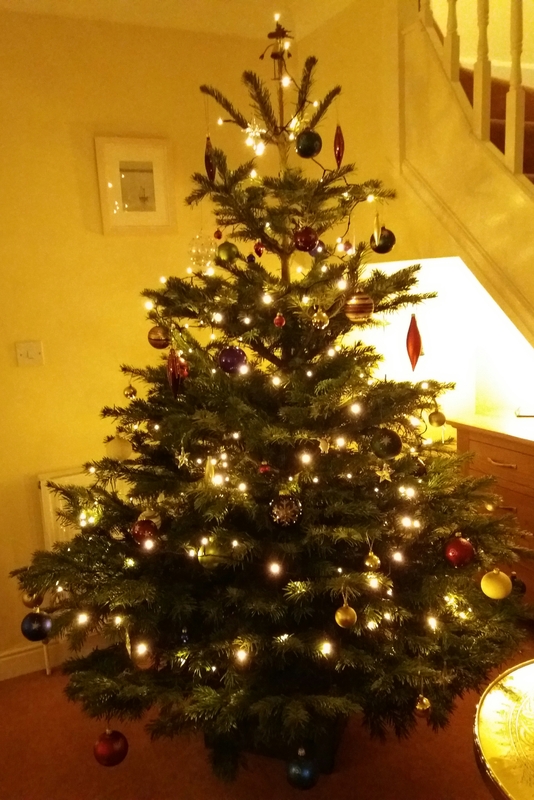 Christmas has arrived with a new blog! Christmas is hurtling towards us and we are entering my favourite time of year – perfect for a new start and a new blog. Well, it is the same old blog but updated, refreshed and in a new home. I hope you like it and there are not many glitches. If some are found – I’m sorry and let me know below in the comments. WordPress is a steep learning curve for a non-tech person. I am very grateful for the people at the end of the help chat links this week. I imagine I have made some of them snigger at my naivety and others to pull their hair out with my ability to make something easy snowball into a big mess. One of the hardest thing to get my head round is inability to transfer my followers from my old blog directly to here. If you have followed me from there – thank you so much and please click on the subscribe button in the sidebar. It will make an aspiring writer very happy and if you are a new visitor – I hope you enjoy what you find and will also follow me on my writing journey. Advent has an energy of its own. Christmas trees sparkle at windows, wreaths hang on doors and the excited smiles on children makes it a time for optimism and hope. It is also a time that is ripe for story ideas. Behind every tree and person walking down the street a plot ready to form (especially if Elsie is around). Who put the star in its proud place? Will the screaming, spoilt kid at the supermarket really get nothing in his stocking as threatened by his stressed mum and what antics will occur at the Christmas parties? A writer’s imagination can go wild. My note app and idea file gets full quickly. I wish the days would stretch to allow more writing time, maybe 27 hours in the day with the extra ones dedicated to quiet, undisturbed moments would work. Today is the most magical day of Christmas in our house apart from the day itself. The music comes out, Christmas DVDs and decorations are dusted off and the tree gets dressed in all its treasures by all of us. To me the tree is the most important festive tradition. Forget presents and the turkey, as long as a tree is up I am happy. It means Christmas has arrived. Each bauble holds a story a little piece of history of our lives. When they are all in place the tree reminds us of our past; laughter and tears, good times with people we love, dreams we have achieved and troubles we have overcome. It gives hope for good times ahead. I love the atmosphere the tree brings for the next few weeks. It makes me feel like a child again and makes me smile instantly with the aroma of pine when I walk into the room.